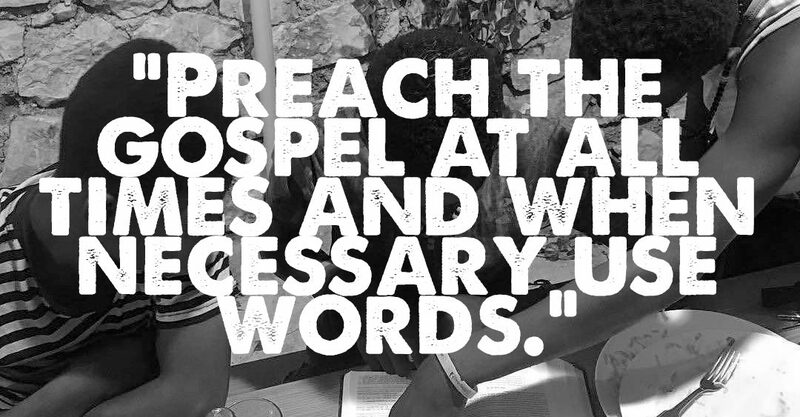 I have made a conscience effort to teach the gospel through actions more so than words. I have witnessed the evangelical approach and seen it succeed on paper while failing in practice. I have heard, “we brought 99 people to Christ last night….” so many times and I always wonder what the true conversion rate looks like after the fact. How do you know? This is especially troubling to me in the mission field when I hear of groups venturing out and spending a couple hours in a village and then reporting back how many lives have been saved. That to me is like giving them Pandora’s box and leaving before they open it. Now, I grew up in the church. I was baptized, attended Sunday school, youth group, and confirmation classes. By all standards, I was a grade-A, certified Christian by the age of 12. I had the certificate to prove it. But, when I truly came to Christ, I mean – REALLY came to Christ – it was an earth shaking moment. I was a complete mess. Crying… shaking…. I could barely stand up. That moment came almost 20 years after I got my “I’m a Christian” paper. Coming to Christ is a journey and sharing the stories in the Bible takes thought and support. It takes time. I’m thinking that maybe those mission field reports could be a little more accurate. Maybe it is more truthful to say something like, “we introduced 99 people to Christ last night”. It is quite possible and likely that there would be many special occasions where they could add in “…and a few of them came to Christ right before our eyes… Praise God!”. I used to visit a church in Atlanta, GA that had a “high conversion rate” of new believers. I experienced people coming to Christ in that room every time I went. In fact, I was brought to tears on numerous occasions. More importantly, I loved what they did for the people who proclaimed this new found faith and belief. Within minutes if not seconds, a team of people came to the person and exchanged contact information while offering their time to meet and talk. The group was large enough that if one person wasn’t available then someone else would be. Wow! I love that they not only gave them the good news, but also provided a strong support system to coincide with “The Word”. In that same spirit, I have started a small Bible study with a group of young men who are known around my area as “The Street Boys”. They have had a life more difficult than most and just like the rest of us – they have made some pretty poor decisions in their past. I have known these guys over a year and have mentored them for at least a few hours a week every week during that time. They have seen me at my best and at my worst. 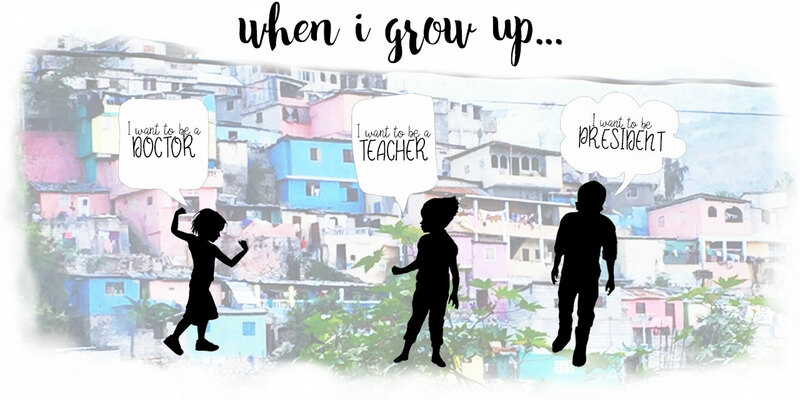 They have experienced me leading my family and have watched me serve my community. They trust me and I trust them. (well… most of them! … kidding!….. uh…well.. kind of…. ) No – really I do trust them and that is why I am confident in this effort. A solid foundation of trust knocks down the walls of fear and opens up the possibility for innocent inquisition and spiritual growth. We meet twice a week and have started in the book of John. The boys read the scripture aloud and we go through English, French, and Creole translations for each. The discussions have been great and I’m thankful to have the opportunity to support them through the process that is being a “believer”. I hope that you will keep us in your prayers and please send me an email at gary@pfamilymission.org if you have something that we can be praying for. I want the boys to practice praying for others – even people that they don’t know.